I’m appalled that some U.S. corporations still evade taxes through tax loopholes, but I’m delighted to see FOX–most notably Bill O’Reilly and Lou Dobbs–publicizing the travesty. 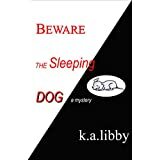 While researching for my “Let Sleeping Dogs Lie?” novel, I discovered that a long-enduring (more than 45 years!) U.S. tax deferral clause enables our multinational corporations to defer paying U.S. taxes until their overseas’ profits come home. Those transfers often do not happen for years, and in the meantime, companies bolstering the U.S. economy and our welfare are subject to a thirty-five percent—or more—corporate tax. Also during my research, I found a Securities and Exchange Commission filing on the web that listed a multinational U.S. technology and services conglomerate that parked sixty-two billion dollars in undistributed earnings offshore; a U.S.-based pharmaceutical giant that boasted sixty billion dollars of tax-deferred earnings; and an industry leader in energy, oil, and gas that kept fifty-six billion dollars languishing in the loop-hole. That certainly helps to explain why our U.S. jobs are going anywhere but here. • “The United States is the only large economy that taxes corporate income worldwide with a tax rate exceeding 30 percent. • During 2009, both Great Britain and Japan enacted territorial systems, giving their multinationals a major tax advantage over U.S.-based firms that are saddled with a worldwide system. Over 80 percent of developed nations now have territorial systems. • Whether the U.S. moves to strengthen its worldwide system by repealing deferral or follows the international trend by adopting a territorial system, there will be unfortunate incentives created. In both cases, though, lowering our corporate tax rate will mitigate them.